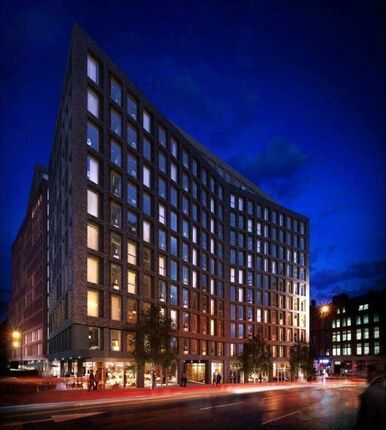 Manchester New Square is an exciting residential development located in the beating heart of the city centre. The very best that Manchester has to offer is right on your doorstep, from fine and eclectic art and dining, to cultural institutions and world class universities. Excellent transport facilities are all within a short walk. One of the largest and most prestigious developments of its kind, Manchester New Square comprises three individually designed 12-15 storey buildings around a tranquil landscaped square. There are 351 one, two and three bedroom apartments, all designed and finished to an extremely high standard, in a spacious, open plan layout which is flooded with natural light. A stylish addition to the neighbourhood, Manchester New Square sets an impressive new standard in inner city living. Call now to register your details and receive more information. Property descriptions and related information displayed on this page, with the exclusion of Running Costs data, are marketing materials provided by JLL - Manchester, and do not constitute property particulars. Please contact JLL - Manchester for full details and further information. The Running Costs data displayed on this page are provided by PrimeLocation to give an indication of potential running costs based on various data sources. PrimeLocation does not warrant or accept any responsibility for the accuracy or completeness of the property descriptions, related information or Running Costs data provided here.